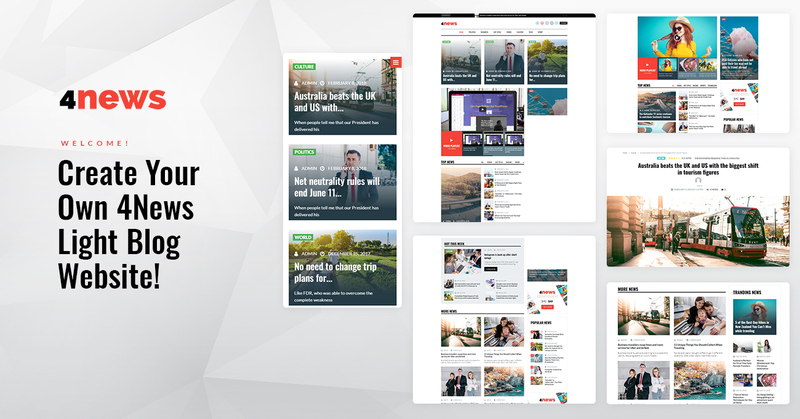 Meet this fully loaded theme, specially developed to display various news from all over the world! With 4News you will be able to manage and customize your content with powerful drag and drop Elementor page builder. It allows setting up information without any coding skills. The theme contains groundbreaking set of Jet family plugins, such as JetBlogs, JetReviews, JetTircks, JetElements, JetMenu and much more! 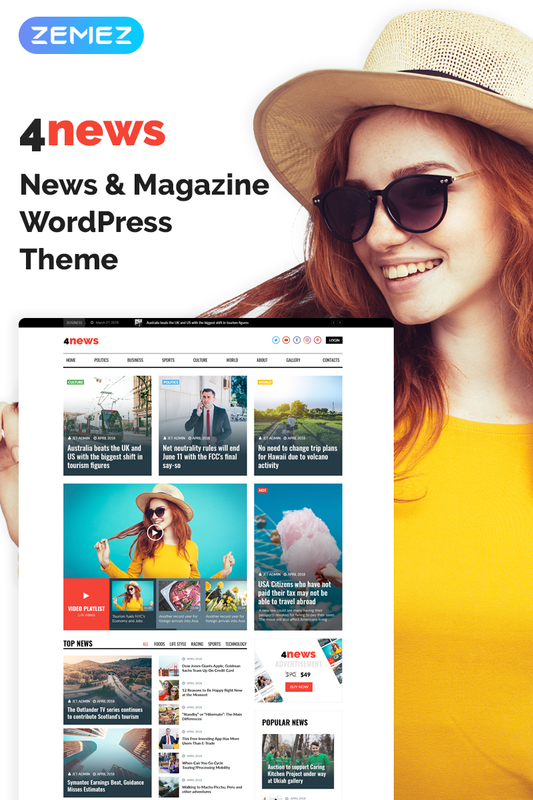 4News is equipped with outstanding JetThemeCore plugin allowing to create your own headers, footers, sections and even pages at ease! The theme has a captivating and engaging Home Page, designed by high-class experts, which catch your visitorsâ€™ attention at first glance. With this theme you will be able to show up your companyâ€™s services, introduce your staff, display your satisfied clientsâ€™ testimonials and much more! Being truly SEO-friendly, 4News provides you with a codeless layouts creation and allows you to edit your website in a visual mode. Use your chance to create a powerful website for your online news portal! The template is really good, though I had to buy Elementor Pro to customise it further. Two things 1) There seem to be a vacant white space between header and content in inside posts/pages 2) The blog post block - I wish it came with an option to also hide thumbnails. But I had a good time playing around with this template. GREAT DESIGN, NICE THEME FOR MAGAZINE. The comments and authors section could be improved. The integration with memberships or social apps is missing. 4news brings in elements of drag and drop functionality with Elementor Wordpress. 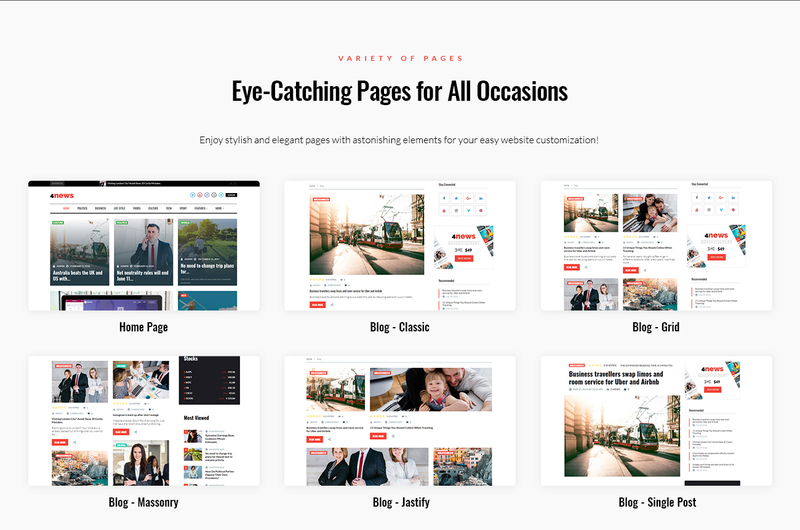 Pages are based on categories that the blog identifies. Hi, does this theme support WPML ?